Published: Dec. 21, 2014 at 04:13 p.m.
New Orleans Saints quarterback Drew Brees fumbles and Atlanta Falcons defensive end Osi Umenyiora runs it back for a touchdown to end the game. 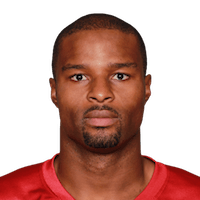 Published: Dec. 16, 2013 at 02:46 a.m.
(5:16) (Shotgun) K.Cousins sacked at WAS 35 for -9 yards (O.Umenyiora). FUMBLES (O.Umenyiora), RECOVERED by ATL-J.Babineaux at WAS 36. J.Babineaux to WAS 36 for no gain (K.Lichtensteiger). Published: Dec. 15, 2013 at 01:34 p.m.
Atlanta Falcons defensive end Osi Umenyiora strips Washington Redskins quarterback Kirk Cousins in the first quarter.